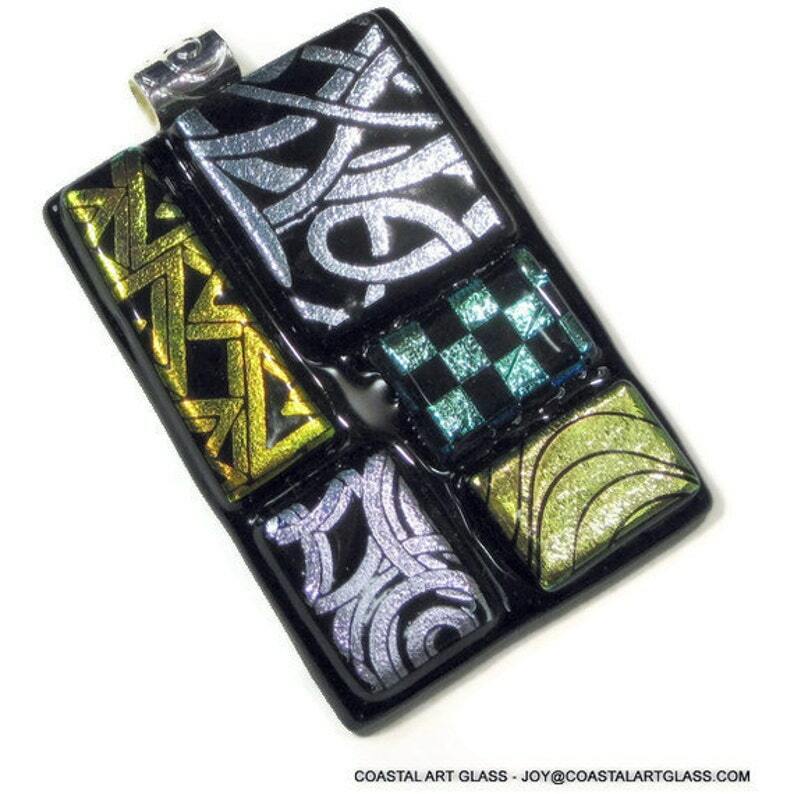 This fused art glass pendant necklace has silver and gold dichroic glass. I added the green and black checkerboard for interest. The soft curves of the lines in some of the glass juxtaposed to the more ridged lines of the other designs gives this piece balance and beauty. The bail is a silver plated etched barrel. This pendant measures 2" h x 1 3/4 "w not including the bail.